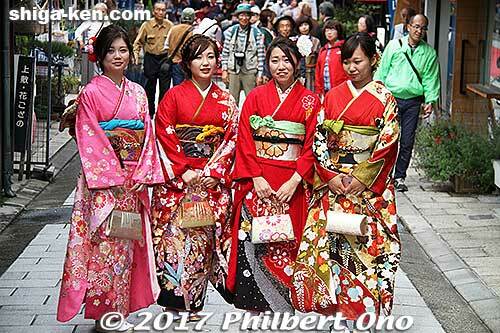 It's almost like Coming-of-Age Day in mid-January when 20-year-olds wear kimono to the official ceremony. But these women can be older than 20. I believe most of them are from Shiga, but a good number are also from nearby prefectures like Gifu, Aichi, and Kyoto. A few were foreigners, probably local English teachers. Nagahama, Shiga.